Cracking the GATE or Graduate Aptitude Test in Engineering is a dream for many engineering students. It literally opens the “gate” to some of the most prestigious science and technology institutes in India including IITs and IISc. Every year thousands of engineering graduates, B.E and B.Tech students apply for the GATE exam. However, only a few get selected. The GATE civil engineering is not an easy exam. Proper planning and proper preparation is a must. The first thing that every student must be careful about is the syllabus for the GATE civil engineering exam. It will save you a lot of time, and you will not have to waste your time in learning unnecessary things. Prepare all important sections from these topics in details. This is a compulsory paper that would hold 13% of the total marks. Hence, this section has to be studied well. Doing poorly in this section would cost you heavy in your overall score. These topics are mostly based on the 2nd and 3rd-year syllabus of what you have learned in the undergraduate course. Here you need to learn soil mechanics and foundation engineering thoroughly. This is a very important section that you must read thoroughly. You will get an idea of the questions that might come from these sections, from the reference books. Highway pavements, transportation infrastructure, and traffic engineering are a few of the core topics that fall under this category. Distance and angle management, survey, studying errors and adjusting them are important. If you are looking for GATE preparations tips for civil engineering, knowing the syllabus is very critical that will help you to excel in it. Along with engineering mathematics and subject-based questions, you will also have to complete a section of general aptitude testing. This section holds 15% of the total marks of your GATE paper. Hence, prepare for this section well. This is something that you would not be able to excel by just preparing for your course during your semesters. General Aptitude needs to be worked on. So, practice as much as possible. Reference books play a huge role in your GATE performance and score. If you follow good books, chances of getting higher score are better. Some of the books from prestigious publishers and professors have the best and perfect pattern of questions that you should prepare yourself. It will increase your idea, your knowledge and also boost your confidence. The GATE exam is conducted in an MCQ pattern. So, it is highly recommended that you study thoroughly and well. Having an unclear or vague idea would not help you. You must know the exact answer to score properly. Some reference books come with previous year questions and mock test papers. These are very helpful for you to prepare for the possible and probable MCQs that might come in your exam. The most crucial part is the study plan. Since it is a graduate level examination, it means that you can apply for it once you complete your graduation. However, in the last year of your B.E or B. Tech, you will hardly get any time to prepare for the GATE. There would be a huge burden of projects, assignments, interviews for campus selections and jobs and also your final exams. Start with understanding the syllabus and sorting the sections that are common to your graduation syllabus. Have a clear concept of the subjects. Don’t start learning them by heart from the start. Just go through them and make sure that you do not have any doubts. Targets are very important. Since you are starting way ahead of time, you have the option of making smaller targets. Make daily and weekly targets and try to finish your chapters in time. Studying for 3 to 4 hours in a day is enough. This way, you would be able to complete 2 to 3 subjects within a semester. Despite completing the chapters and studying the subjects well and that too in time, many applicants fail poorly. This is because they have not revised the topics later on. Do not make this mistake. Revise the chapter or subject 7 to 15 days after you have finished it for the first time. Facebook groups, online sites etc. are a great platform for the GATE CE applicants to get in touch with other applicants. They discuss problems, solve problems and share ideas through these forums. There are paid and free membership programmes that you can join anytime. Now it is time to test what you have learned. There are mock test papers that you can solve. You can find them online as well as in hard copy, along with reference books. These are the best GATE preparation tips for civil engineering that you must keep in mind, while you are preparing for the GATE CE 2018. 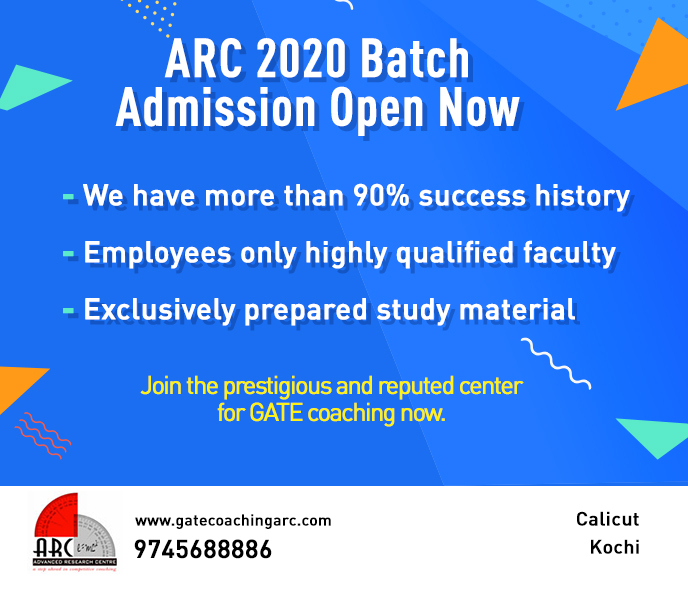 Once you have got an idea of how to crack GATE Civil Engineering 2018, you will need to keep a few things in mind. The GATE is a serious exam, and there is no way that half knowledge, little knowledge or luck will help you to make it through. Strategic planning is a must. Always keep in mind that the 72% of the subject based question hold the maximum weight. So read them carefully and understand what they have asked. Answer only if you are confident. There would be three choices for each question. Choose the right one. 1/3rd of your marks will be deducted for every one mark question. 2/3rd of your marks will be deducted for every two marks question. So selecting the wrong answer is a big no. If you leave a question an attempted, it will deduct no marks, and that is what is required in a scenario like this. Find the right books and start preparing right now. Best of luck for your GATE CE 2018! Hope these Civil Engineering tricks come to your help.